What happens when a boat and a hot tub have a love child? This. Year round, rain or shine, you and 5 of your closest friends can cruise around a body of water in a smaller, hotter body of water. You can also add it to the side of your yacht for those times you find yourself running out of things to do! All you need to drive the hot tub boat is a valid drivers license. Plan on going to Seattle in the near future? You're in luck, since that's the only place you can rent one of these. Oh you're not planning a trip to one of the rainiest cities in America? 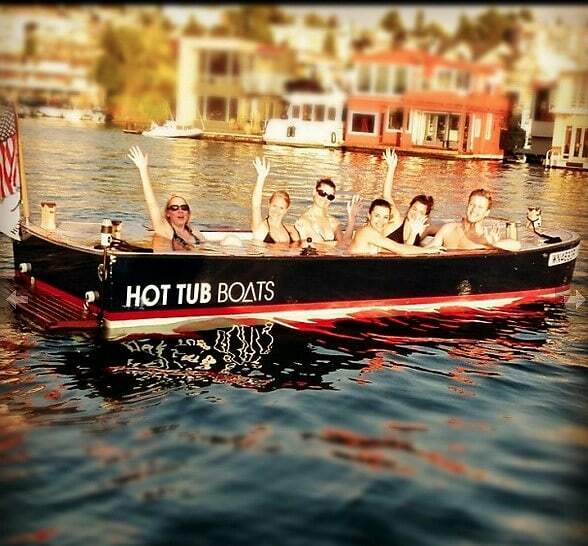 Don't fret... these hot tub boats, which by the way are called just that, "Hot Tub Boats," can be purchased for an undisclosed amount (we're looking into it). Go HERE to find out more about this luxurious boat!